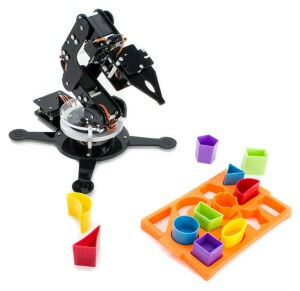 The Maximo Robot Arm is a great way to discover robotics. Accessible, fun and affordable, Maximo is designed for everyone. My team and I wanted to create a robotics experience that would be available to anyone interested in robotics. 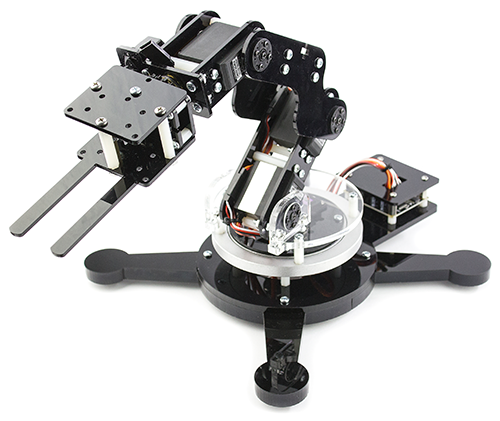 Maximo is a Robot Arm with 5-axis range of motion allowing movements similar to assembly line robots. 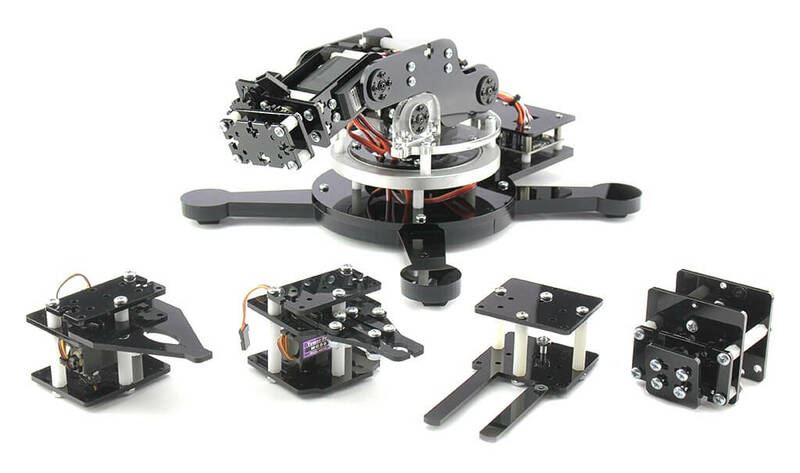 It was designed to offer the highest quality while remaining one of the most affordable robotic arms on the market. Get your own robotic arm right there on your desktop! 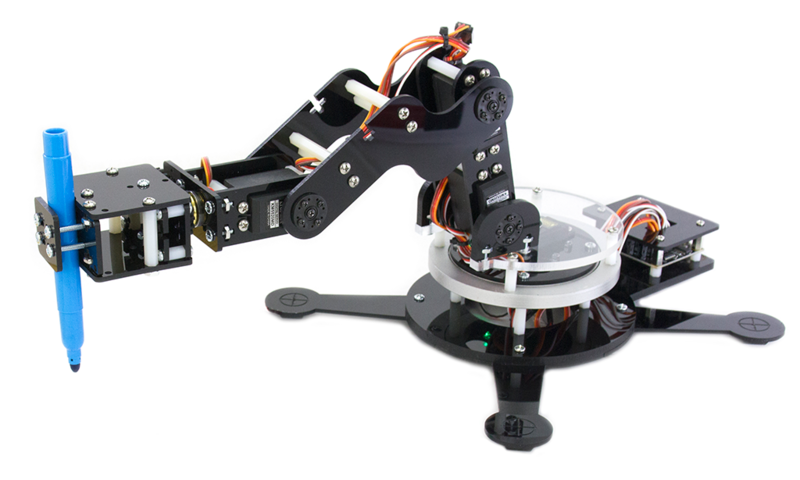 Maximo Robot Arm comes with a laser-cut acrylic body. It was designed to offer the highest quality while remaining one of the most affordable robotic arms on the market. 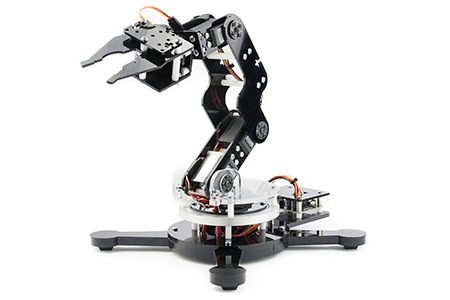 Its 5-axis range of motion allows for movements similar to assembly line robots. 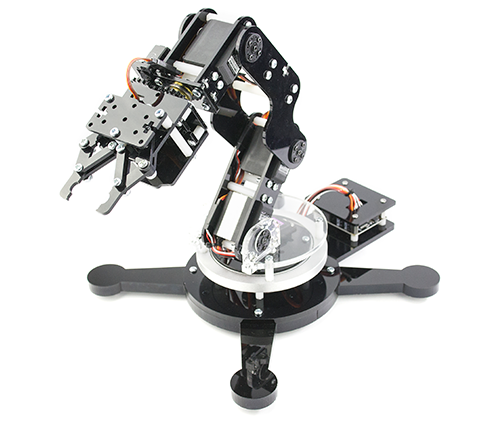 When you use the robotic arm in combination with Robotic Studio, you can control the arm with a gamepad. Each button activates one of the servomotors. You can record the current position of the robotic arm with the press of a button. The software allows you to play those recorded steps and then edit, delete or change the order in which the steps are executed. By using these Robotic Studio features, Maximo can execute complex and accurate movements that cannot be achieved manually. In order to bring more features to Maximo, we’ve created several modular heads. These heads can be changed within seconds. They were designed to be easy to install and remove. For geeks, we also provide API (available for Windows, OS X, Linux, Android, iOS and Windows CE) with full documentation (in English only) and code samples. 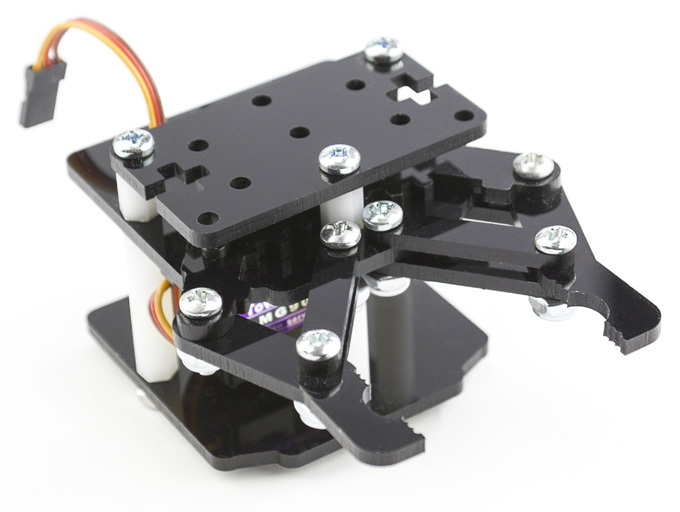 The head of the arm can easily be changed within seconds for one of the other modules. You only have to disconnect the cable, loosen the screws holding the head, remove it and put the other one in place. This system allows you to switch Maximo’s functionalities painlessly. 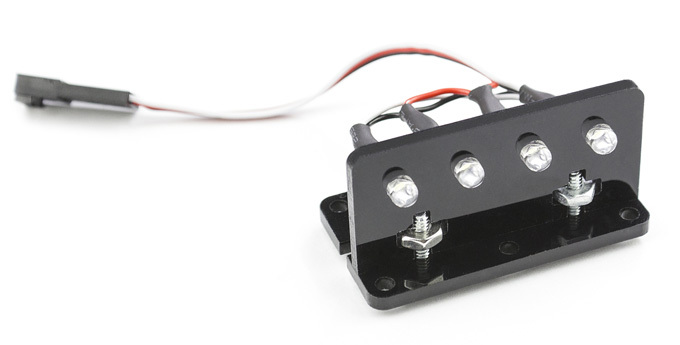 You can let the robot hold a pen, a light, or switch the regular gripper head module for a more advanced and accurate one. Maximo is a great way to introduce children to robotics and help them discover technologies that are currently used on assembly lines. By using our robot, children will develop useful skills for the future since science and technology are now such key parts of everyday life. You could ask your local charity organization (Optimist International, Lions Club, Knights of Columbus, etc.) to help them finance the purchase of the robots for your school. We have two curriculums created by an Educational Adviser for middle and high school students. Each curriculum includes 15 exercises to carry out using Maximo. Contact us for more info about the curriculums.